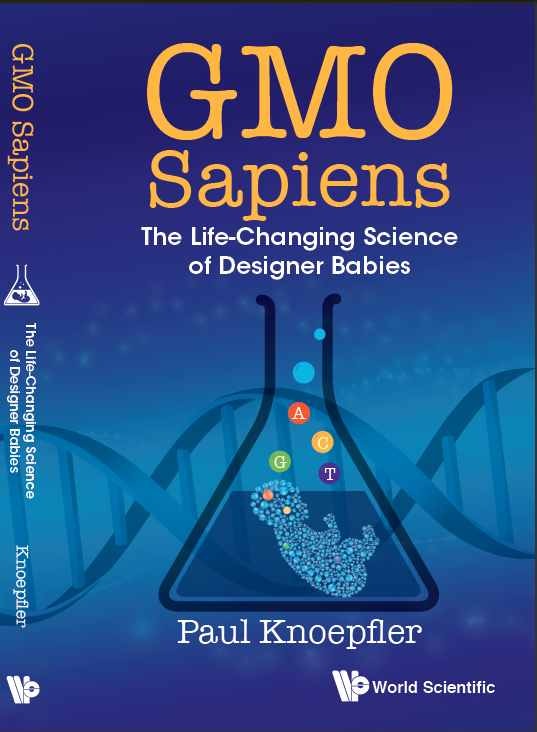 My new book GMO Sapiens just recently came out. You can see a few reviews of it here and you can order it here. It’s an approachable, quick read on the unsettling, but exciting topic of using CRISPR gene editing technology to make a new kind of people. seen as giving children an advantage or are considered to be fashionable. as the changes are inherited by each new generation of children. One of these new GM people could be your child, grandchild, niece, nephew, sibling, friend, etc. In short, for better or worse if genetically modified people are made, it could easily be a development that personally affects us all.